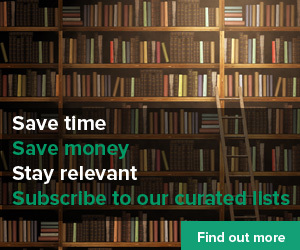 Editor's note: OK, this is not directly linked to learning but it is a great article on how Spotify is using human music selection and algorithms to curate playlists. This could be the future of information curation . . . In the ‘90s, Aby Ngana Diop was the queen of taasu, a practice of ritual poetry performed by female griots in Senegal. Diop’s distinctive vocals made her a sought-after performer at the weddings and funerals of the rich and powerful, but only a single album of her work is widely available — Liital, originally released in 1994. Liital took the traditional spoken word art form and merged it with the raucous modernity of electronic synth and drum loops. The record propelled her to superstar status in Senegal. Sadly, Diop died just three years later. OK, this is not directly linked to learning but it is a great article on how #spotify is using human music selection and algorithms to curate playlists. This could be the future of information #curation . . .